***** DISH OF THE WEEK (Sunday 4/3/16). 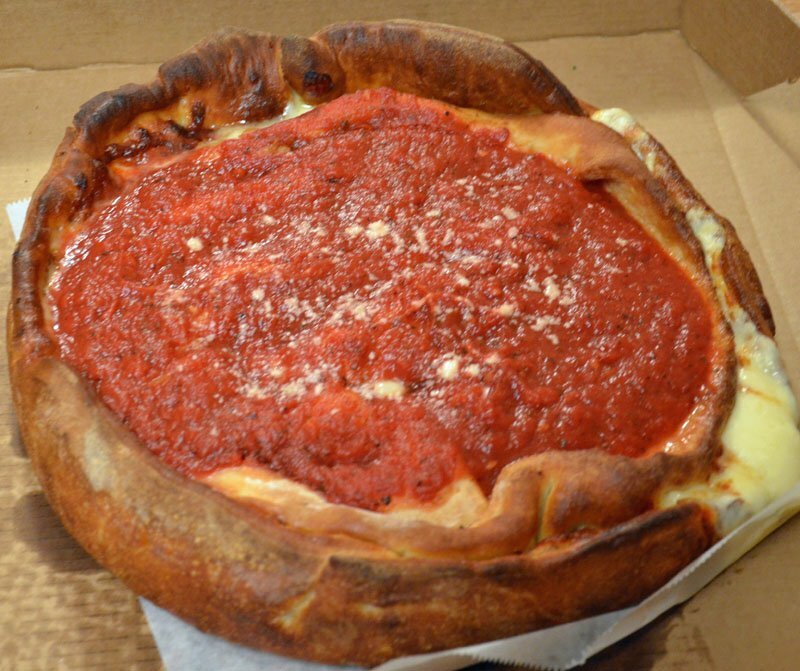 Manhattan and Chicago Pizzeria makes outrageously delicious Chicago deep dish pizza. The joint’s New York Style pizza and subs ain’t no slouches either. 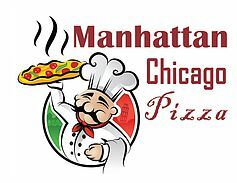 Just so you know, Manhattan and Chicago Pizzeria is basically a “takeout” so don’t- be planning on throwing a wedding party, graduation party or bar mitzvah party there! ***** Manhattan and Chicago Pizzeria, 12715 South Dixie Highway, Pinecrest, Florida 33156, (786) 581-9240. This “hole in the wall” pizza joint does—pizzas, subs. wings, wraps, salads, calzones and strombolis. Jeff Eats is kinda thinking that you guys by now- have figured out-that…Manhattan and Chicago Pizzeria makes 2-kinds of pizza—namely, Chicago Deep Dish and New York Style. The reason I say this- is that the joint after-all is named Manhattan and Chicago Pizzeria. Now I could be wrong, but Jeff Eats’ money is on you guys! A recent outing had me taking-out an 8″ “original” Chicago pizza ($13.99–ground beef & sausage/tomato sauce/mozzarella cheese) and a 12″ plain New York pizza ($8.99) and I gotta tell you that both were delicious. For our purposes- that Chicago pizza was amazing-delicious. Jeff Eats also did a meatball sub ($7.99) and a sausage & peppers sub ($7.99)- like the pizzas, delicious. As I mentioned 4 1/2 seconds ago, Manhattan and Chicago Pizzeria is basically a take-out joint—so if you don’t live or work in the area, have someplace where you can eat its stuff- before it gets cold. No fooling around here, Manhattan and Chicago Pizzeria is an absolutely dynamite takeout— with that Chicago pizza-alone being worth a car-trip. Check Manhattan’s menu at www.mcrealpizza.com for menu/prices. Manhattan and Chicago Pizzeria is open Monday-Thursday 11am-10pm, Friday-Saturday 11am-midnight, Sunday 11am-9pm. What happens in Pinecrest stays in Pinecrest!